Put Yourself in the Picture for the 30th annual Clean Up Australia Day. 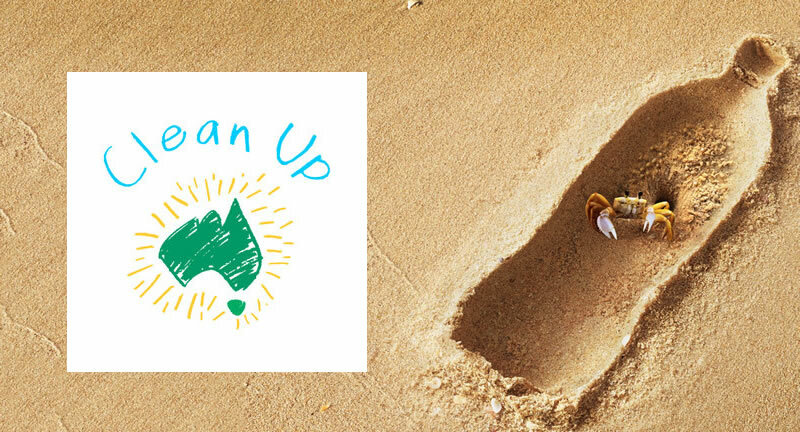 Every day is Clean Up Australia Day - join as an every day clean up site. So far, an estimated 526,268 volunteers have removed 13,933 tonnes of rubbish at 6,333 sites across the country. Have fun on the day and don't forget to report back to us with your Clean Up Report and Site documentation! The volunteers at each Clean Up Site are invaluable. If you would like to volunteer at a Site that has already been registered on our website, use our Site search. You may register online or on the day. As a non-government funded, not-for-profit organisation, we rely on donations from individuals and businesses in order to mobilise hundreds of thousands of Australians to produce fundamental, positive change. A donation to Clean Up Australia will assist us in working with communities to help them learn to live with the challenges that a changing climate brings. Spread the word about your involvement in Clean Up Australia Day to fundraise for our organisation. If you can't make it out on Clean Up Australia Day, support your friends, family or colleagues in a different way: donate to their Clean Up Site to make it the most successful fundraising Site. We are part of a fantastic new app called GiveEasy, downloadable for free from the Apple store, which allows you to donate to us using your iPhone or iPad. After entering your chosen amount, a tax receipt is sent straight to your email address, while a record is stored on the app itself. It's quick, secure and easy!